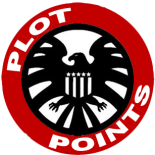 As a site run by fans, we here at Plot Points love to herald and champion fellow fanmade projects. Enter Tren. Tren is a group of musicians that recently released a song and music video based on the upcoming Captain America: Civil War movie on their YouTube page. It is really a great song and a cinematic music video. Check it out below! Tren’s mission is to break into the film music industry and, quite frankly, I think they have the skills to do so. Read more about their mission for this particular project here. Check out Tren at their YouTube page and give some fellow Marvel fans some love! I first sat around a table and rolled dice in 2008. I've been in love with role-playing games since then, especially those with a strong narrative focus built into the mechanics. You can find me on Facebook/Twitter @MrBananaSocks or at my blog Same Kind of Nerdy as Me. Be sure to also listen to my actual-play podcast Mistconceptions on iTunes and Soundcloud. I like it. It has a strong ‘Sarah Brightman’ vibe. This entry was posted on August 18, 2015 by David W in News, Videos.